The purpose of the school is to promote the abilities of each student and develop his or her educational, physical and social skills, knowledge and independence in preparation for high school and for the opportunities, responsibilities and experiences of life. Mount Hawthorn Education Support Centre offers two fairly separate programs. The first is the Early Intensive Intervention Program which is highly specialised for Kindy and PrePrimary students with high functioning autism. The students in this program are those who will progress to mainstream classes part time in Pre-Primary and full time in Year 1 and do not have an intellectual disability. However, the main program at Mount Hawthorn Education Support Centre is for children aged PP to Year 6, generally with an intellectual disability, for whom mainstream classes are not the best option. We are a small centre with a homely atmosphere and plenty of staff to help students cope with day to day issues. We plan a wide and varied curriculum and aim to make learning interesting and enjoyable for all students. We are determined to make sure that each student receives the appropriate learning opportunities to bring out their abilities fully. 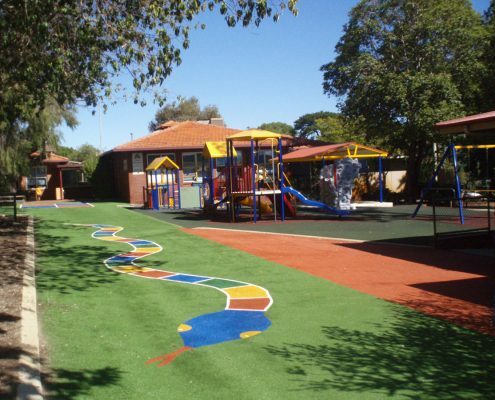 The staff of Mount Hawthorn Education Support Centre work together with parents, guardians, members of the local community, supporting agencies and the staff and community of Mount Hawthorn Primary School, to provide a safe, socially just and supportive environment. To come into our main centre program (PP to Year 6), a student needs to have an intellectual disability with an IQ lower than 70. While many students with intellectual disabilities are well serviced in mainstream classes, there will always be some who would benefit from a smaller class size, more intensive learning and with a higher level of support. We have frequently seen that students who appear to be struggling in mainstream classes may change considerably for the better, make friends and settle down in an education support centre. If your child is in a mainstream primary school and you think he or she may have special needs, ask the school to involve the school psychologist. Our students are integrated into mainstream classes such as art, sport, music, dance, attend some incursions and special activities with the mainstream and play amongst mainstream peers during breaks, so they are not isolated from the primary school community. I believe that we offer the best of both worlds for our students, a more intensive learning environment as well as a close connection with their peers in the primary school. While we often have new students in Year 1, many of our students come to us in later years, when their special needs become more clearly seen and this works well. If you think you may have a child who would be eligible to come to us into PP – Year 6 and you are interested in considering this option, please do give us a call and come around for a visit at any time of the year.